← TRC #318: Do Glasses Weaken Eyes? + Smoking in Movies = R-rating + Pluto A Planet Again? TRC #319: Mothers’ Milk Vs Mothers’ Guilt + Red Wine Health Benefits + Green Eggs And Ham Banned? Cristina joins the panel to explore mothers’ milk and asks whether some breastfeeding advocates take things too far. Next Adam examines recent news reports of the claim: red wine is better than going to the gym. Lastly, Pat looks at whether or not the book ‘Green Eggs and Ham’ was banned. Is Drinking Wine Better Than Going To The Gym? According To Scientists, Yes! 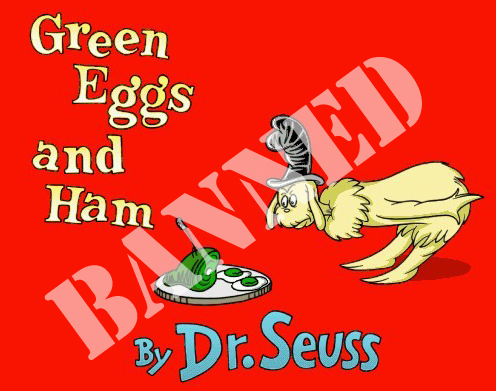 Was Green Eggs And Ham Banned? This entry was posted in The Reality Check Episodes and tagged banned books, green eggs and ham, guilt, health benefits, mother's milk, red wine. Bookmark the permalink. 5 Responses to TRC #319: Mothers’ Milk Vs Mothers’ Guilt + Red Wine Health Benefits + Green Eggs And Ham Banned? When I decided to have children, like any proactive person, I researched everything I could about how to give them the healthiest upbringing both physically and mentally. Because of that research I breastfed my children who are now 19 and 16 for three years each. I also chose not to have them circumcised. I quit work, stayed home with my children, fed them fruits and vegetables, read to them for hours on end, and played with them with educational toys. Since I am an athiest, I also taught them to be skeptical. I did all these things and more because I wanted to raise the healthiest and happiest children that I could. My sons are 6’6” and 6’4” (that’s genes not breast milk). They are healthy, make good grades, and are not into drugs or alcohol. I believe they have grown into fine young men, still, I look back now and I wonder if I did all I could and if I made the right decisions for them and for myself. In the long run, my decision to breastfeed was just a small part of everything that went into raising them. In my opinion the most important things I did was to show them love, set boundaries, and keep them safe and secure. The rest was just icing. Thanks so much for leaving such a thoughtful reply! It’s great to hear from a Mom who is raising two fine, young men to be critical thinkers. We need more Moms like you, P! My wife and I experienced some of the harsh pushing of breastfeeding when our twins were born. There was actually a nutritionist/breast feeding person on duty as part of the hospital staff, and she was very pushy with my wife about it from about the second or third day. We had a few issues that were working against us – they were born premature, and on day four or five (my wife would correct me here) we found out the one had a cleft soft palate (rear of the mouth) and no uvula (the dangly part if you say aww). That was the reason she was unable to latch or get any foo, because she couldn’t develop a seal, and any sucking she did was resulting in sucking in air from the nasal passages. so all of the stress this breast feeding person was putting on my wife was unwarranted and we were happy when she stopped coming around. We were shown how to use a haberman feeder (a special type of bottle invented by Mandy Haberman) and we used that until our daughter had corrective surgery at 13 months. My wife pumped for over 6 months and our daughters are very health and active, and according to their teachers, ahead of the rest of the class. Also, i believe Elan made the segqay between this section and the wine section stating women wanted to get back to drinking…. the doctors and nurses told us that beer will actually help milk production in mothers that are having low volume problems ( we were told that my wife should be producing almost 2 litres per day for our twins – she rarely got 1/4 of that). In fact, they said they used to get a few cases of beer a week delivered from the local Labatt brewery for that reason alone, since it was just up the street (Labatt started in London Ontario. They no longer do it though, but they still advise new mothers about it if they are having issues.. While the supposed ban on Green Eggs and Ham turned out to be a legend, it is true that there was a short lived and unsuccessful attempt by some parents in Toronto to ban Hop on Pop, also by Seuss, based on the belief that it promotes violence against fathers. It should be noted generally, that the number of requests for books to be removed from libraries is far, far larger than the number actually removed. Hi, I Just listened to this podcast. thanks for talking about this. I feel your pain about breastfeeding too. I am thankful we got the right dr and gave us the right help. But I do too see how frustrating is to get the social pressure to do something as a parent but almost nobody can actually help, or give constructive advice. From my experience most nurses and drs don’t know a thing about how to help a mother breastfeed.